Lightweight with no ashy cast this tinted sunscreen feels extremely light on the skin and doesn’t leave an ashy cast. Instead, it leaves a natural-looking tint that brightens and evens out the complexion. I love using it as a base before foundation or sometimes I use it on its own on days when I don’t feel like putting on too much makeup. I also love that it’s the highest effective SPF possible – SPF50***! Perfect no makeup makeup look! I freaking love this! This sunscreen turns into a tinted one and adjusts to your skintone, evening out your skin and gives you that no makeup makeup look! Plus it has super high SPF but a very light consistency, quite unheard of! Suitable for Singapore's weather it’s very lightweight, non sticky and suit our hot weather here. It blends with your skin colour easily It blends with your skin colour easily. Which means no BB/CC/foundation needed! At the same time, it’s not oily! It kept my skin from looking and feeling greasy, even hours after application The product contains UV sensitive marine DNA micro capsules, which means UV blockers and nutri-boosters are only released to the skin upon UV exposure. Other than sun protection, it also offers sheer coverage so you can skip the foundation and concealer- the glee! 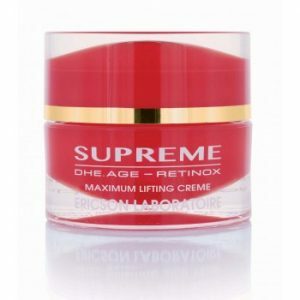 I also liked that it moisturizes, so I can use a more lightweight moisturizing serum in the morning. A bonus feature and my favorite part: it kept my skin from looking and feeling greasy, even hours after application. I’ve tried upwards 10 types of BB creams, tinted sunblocks and foundations over the years, and this was the first product that had my skin feeling and looking as clear and fresh even at the end of the day. sunshield SPF 50 Just started using it. I have sensitive and combination skin and this sunscreen work quite well on me. It not too oily or sticky compare to what I'm using previously. 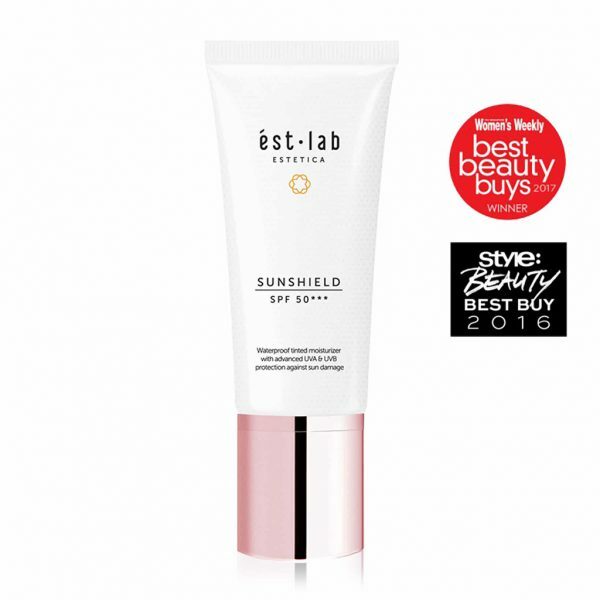 Before i try estetica sunshield i don't wear sunscreens everyday as i don't like the sticky or oily feeling but I'm sure i will wear it everyday after i tried this sunshield. Lightens my scars while protecting it from the harmful UV Ray! That is one amazing tube of magic. The tube that cut down my time and money and hassle. The all-in-one sunshield is all I need before my makeup now. 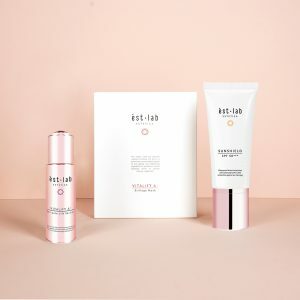 *jumping in joy* ést.lab Sunshield contain multiple benefits - UV Protection, Whitening, Moisturizing, Anti-Ageing, Anti-Oxidant, Soothing, Concealer, Sheer Coverage. Advanced UVA & UVB protection with new breakthrough SmartVector® UV technology. Estetica's SunShield is Really Quite Awesome I really love this feature of the sunscreen. And I can even skip my foundation or bb cream after this. On days when I wear this out for my morning jog, and when I towel off the sweat off my face, I can see that it is actually tinted (the towel is slightly stained like how foundations do). Sheer, dewy finish; Great as a base for make-up As I gently smoothen it onto my face, it starts changing it’s colour to my skin tone! There are no white streaks, it’s featherlight, and leaves a sheer, dewy finish. Great for Singapore’s climate and summer. 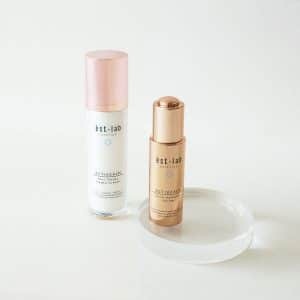 Featherweight texture, smooth application and moisturising, it’s a good all-in-one quick morning solution and works great as a base for makeup. High SPF coverage + sheer finish Love its high SPF coverage and sheer finish that adapts to your skin tone. Stay Natural and Fresh-looking 24/7 Overall, I'm impressed by the technology which allows this product to blend effortlessly into your skin. Usually when I embark on Korean Cosmetics Hauls in Myeondong, I purchase all sorts of BB/CC cream and they make me look like a geisha. This product however, allows me to stay natural and fresh looking 24/7! sunshield SPF 50 這個防曬霜採用智能防護囊球技術, 含有海洋DNA的微型囊球體對紫外線非常敏感~ 智能的囊球只對受到紫外線照射的肌膚做出反映, 釋放有效的防護成份! 除了有SPF50的防曬度外, 更有保濕, 抗氧, 美白, 遮瑕, 潤色, 抗老及舒緩的功效~ 質地輕身易推, 而且不會笠膩~ 慢慢推開後會由白色cream狀變成淺橙色, 再漸漸變成自己的膚色, 很神奇呀! 這個防曬霜也可用作妝前底霜使用, 輕易修飾肌膚! ..
Definitely one of the best! It's not often that I talk about specific cosmetics that i really love but this one is really worth it. I am all about getting the best sunscreen for your face and this one from Est.lab is definitely one of the best! Awesome! 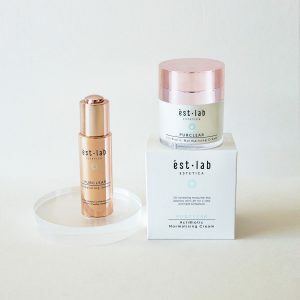 The first time that I tried Est-lab Sunshield out, I was quite surprised that it was white in color when you first squeeze it out from the tube but it changes to your skin tone after application just like CC cream! I like how versatile Est lab Sunshield is as it can be used alone for casual days out or on top of my regular liquid foundation on work days. Texture-wise, Est lab Sunshield has got a light consistency. It is also easy to blend. It gives a dewy look finish. 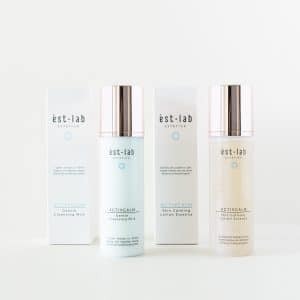 very sleek packaging, work like a CC cream My first impression of Est-lab Sunshield was that it has got a very sleek packaging. Unlike the usual sunscreen or sunblock, it comes in a pump tube. 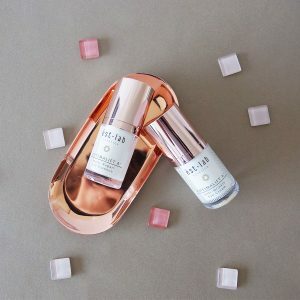 The first time that I tried Est-lab Sunshield out, I was quite surprised that it was white in color when you first squeeze it out from the tube but it changes to your skin tone after application just like CC cream! I like how versatile Est lab Sunshield is as it can be used alone for casual days out or on top of my regular liquid foundation on work days. Texture-wise, Est lab Sunshield has got a light consistency. It is also easy to blend. It gives a dewy look finish. 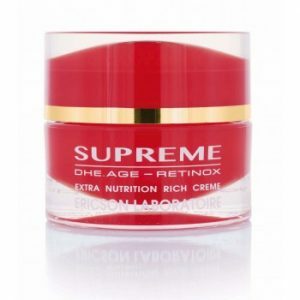 Good product have tried the travel-sized sample of this product redeemed from Estetica's facebook campaign. Really love this product and will buy one. It isn't sticky and absorbs to my skin very fast. With SPF 50, it's still quite light. Long-lasting protection Long-lasting protection against sunburn and photo-aging. It is also a tinted sunscreen that can be used as a makeup base. It is non-comedogenic and is gentle enough for everyday use! Very impressive with new UV technology It was very impressive with the new UV technology! It is clear when applied, but changes to suit your skin tone. The use of mild emulsifiers and the choice of very light, non-comedogenic oils make this sunscreen gentle enough for everyday use. Make-up base to conceal blemishes not only super long lasting but also acts as a makeup base to help conceal blemishes. Kills two birds with one stone for me. Interesting technology It actually comes out as having no color and then as you work it into the skin, it changes to the color of your face. Blends perfectly It blends in perfectly with my skin! Because I'm quite tanned usually BB creams would make me look to fair etc. but this one blends in perfectly! Accommodate my skin color I like how it adjusts to accommodate my skin color making it impossible to differentiate my actual skin tone and the product shade. very light, nice smell light and easily absorbed. I love that there's no yucky 'sunblock smell' when I apply this product on my body. multi-function, very light not just a sunscreen but also doubles up as a makeup base because it’s slightly tinted. Very light and not greasy like most sunscreens.